It’s an exhilarating time to be involved in this industry. Each year, we come together to witness the astonishing march of technological progress, where last year’s revelations look relatively ancient compared to this year’s faster, finer, and smarter versions—and to stand in collective awe of the things we never saw coming. That’s InfoComm; and at SCN, we tip our hats to the manufacturers that brought these wonders of technology into fruition in the form of our annual Installation Product Awards. 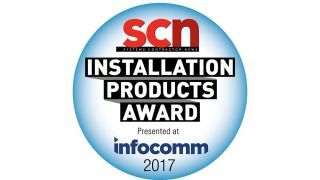 The 2017 SCN/InfoComm Installation Product Awards will showcase the most innovative commercial AV products of 2016. Manufacturers must enter their product or products for consideration before March 31, so please submit your entry now. Please send one high-resolution image of each product entered to SCN digital editor, Garen Sahagian (gsahagian@nbmedia.com). Winners will be announced during InfoComm 2017 In Orlando, FL. To be eligible for an award, the company must be exhibiting at InfoComm, and the product must have shipped in 2016. Each product entry is $295 and must be sent in along with the entry form. Any questions can be directed to SCN senior editor Matt Pruznick.